Take advantage of our stunning harbour wedding transfers on the best day of your life. You may not have booked a harbourside venue but that doesn’t mean you can’t indulge on your wedding day! Sydney Harbour Luxe Charter’s transfer vessels can accommodate small groups of two, to large wedding groups of 800. 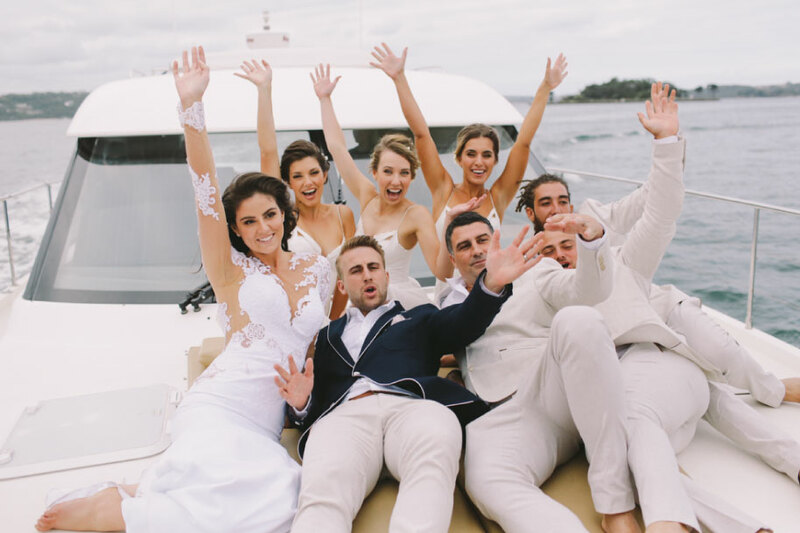 A Sydney Harbour wedding transfer will allow you to have the most exceptional photo opportunities with exclusive use of our luxury vessels and harbour locations. Enjoy the time between your ceremony and reception on the harbour in complete privacy whilst your photographer takes advantage of the amazing array of locations. Cruise over to the Sydney Harbour Bridge, Opera House, or even stop off at Cockatoo Island for a few snaps! PERFECT WAY TO MAKE A GRAND ENTRANCE! A Sydney Harbour wedding transfer is perfect for the bride and groom to make a grand entrance to their reception venue! They are also perfect for the bridal party or your entire guest list! If you have a couple of hours between your ceremony and reception what is better than having your guests relax and take in the views of Sydney Harbour with roving canapés & beverages before the night gets started! A wedding harbour transfer vessel is especially perfect for international guests; they will be blown away and left with memories to last a lifetime!